According to this article on Ian Visits, the North London Line will have an unusual visitor on Saturday, December the 2nd. A passenger steam train will be passing through on its way from Southend to Alton. On December 2nd, 2012, I posted Tornado At Canonbury Station. Canonbury station has now got two Harrington Humps. Does that make it a Bactrian station? It’s certainly the sort of thing, that you’ll see in posh Islington and would never see in plebian Hackney. 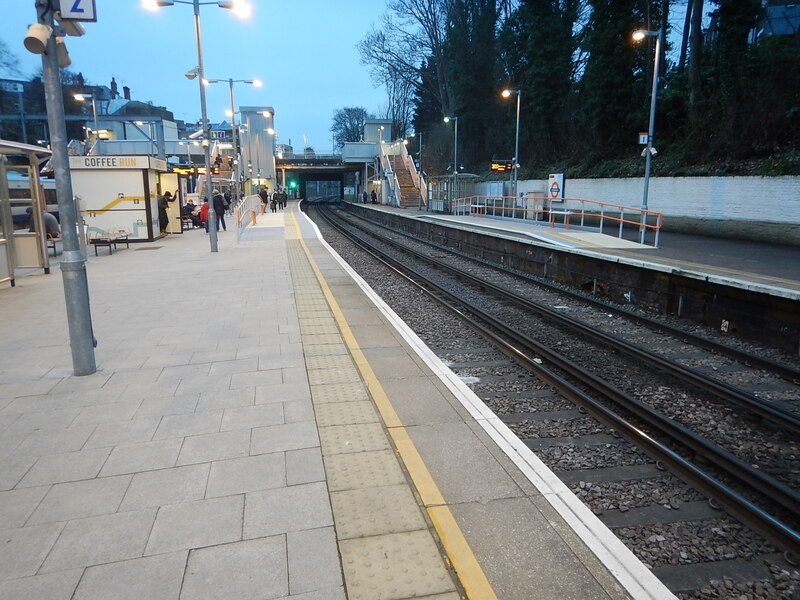 This new ramp or Harrington Hump, has been built on Platform 1 at Canonbury station. I didn’t use it, as I was going the other way. It looks to be a very good design. Like all the best designs, it is simple. It’s a gentle slope to ascend to train level, with no steps to trip on. It’s got seats to prop yourself on. It’s got a rail to hang on to. Those with poor eye-sight wouldn’t miss it and trip over. I suspect any sensible local builder could build one of these, from a kit of parts and instructions on a page of A4. It looks to me like it is one of those classic engineering designs, that was developed using copious amounts of real ale, with everything written down on the back of fag-packets and used envelopes. After my musings on dual-height platforms for the Bakerloo Line Extension, in How Will They Build The Bakerloo Line Extension?, I think that a modified version could handle the problems at stations on the Northern reaches of the Bakerloo Line, where 1972 Stock and Class 378 trains, share a platform.